Lelo in Nopo: But we already knew this, didn't we? i don't remember seeing wink in avitar. 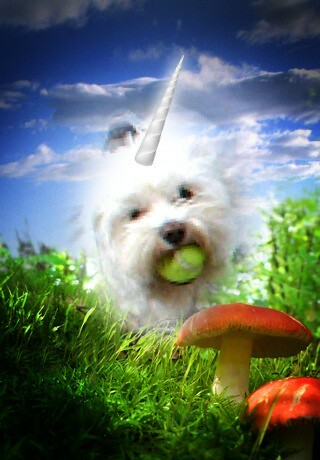 awww...my pup thinks he's a unicorn, as well. and he's a boy! it ain't right.